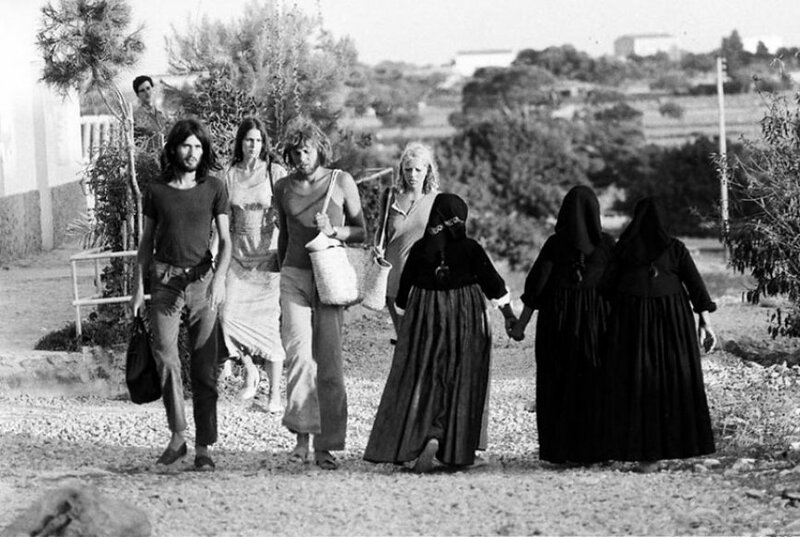 Until the end of the ’60s Ibiza is a rural island, the poorest of Spain. Cereals are grinded in the mills, people work in the salinas and the population lives by fishing and subsistence farming. The quietness of the island convinces many hippies from all over the world to move here, trying to live up to their ideal of a natural life. All of them are positively impressed by the tolerance and the peacefulness that they find in the local people: “simple families” that do not make a row about anything and let them enjoy life, looking at these “peluts” (as the local people call the hippies at that time) with curiosity and smiles, while the maintain their way of living and their habits like the baile payés . Subsequent to the bohemian naturism, we attest a new way of getting dressed, the Adlib fashion, of which the Princess Smilja Mihailovitch becomes the icon. 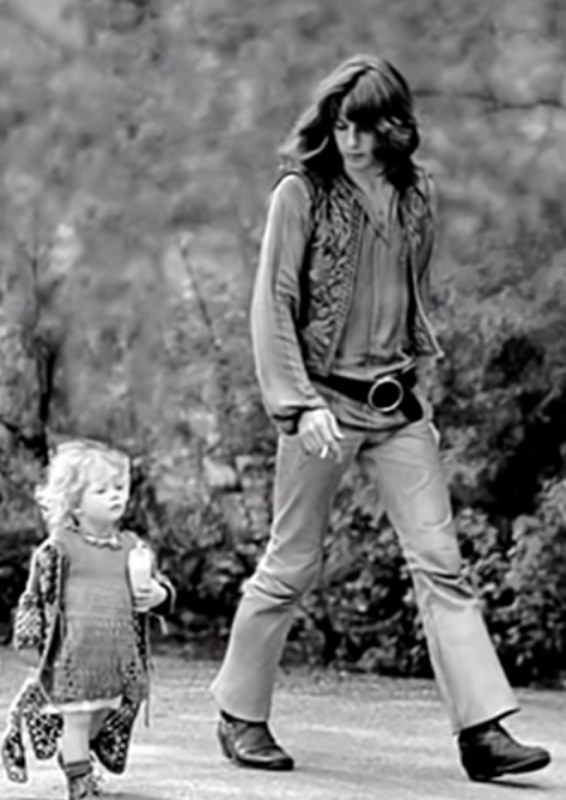 The first hippie catwalk is organized in 1971, declaring the hippie style official. 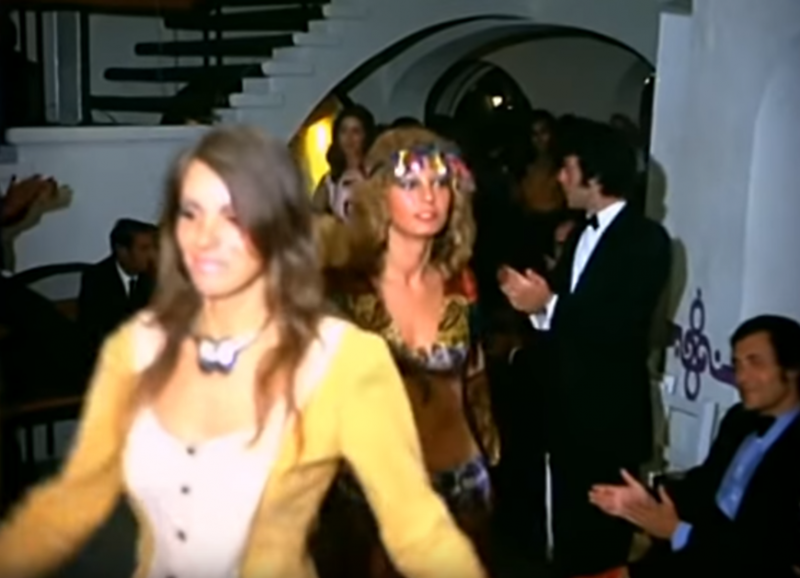 In the ’80s one of these fashion shows is held at the Hacienda Na Xamena, that you can recognize in the picture below from the colorful aisles, the white arches and the wood stairs. 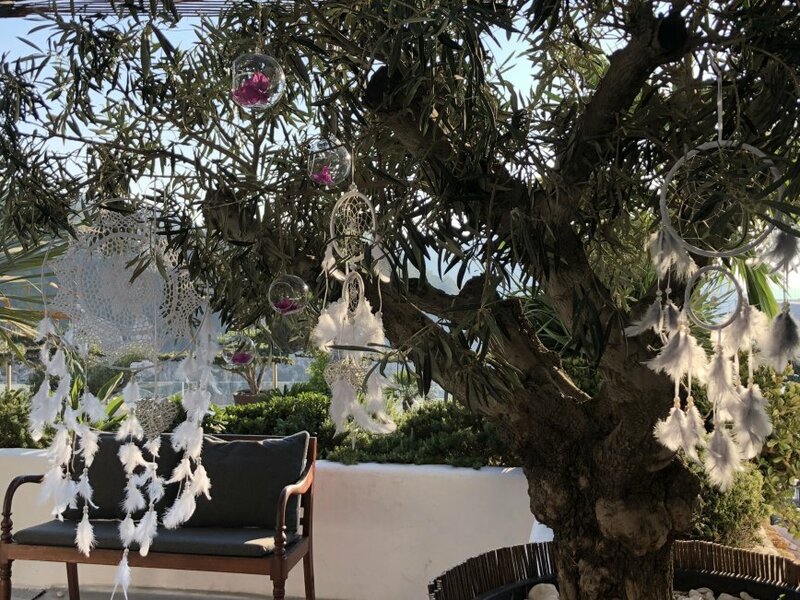 “People wear Ibiza” Merel, World Family Ibiza · Scene of the catwalk at the Hacienda Na Xamena. The population grows on the island and develops trading, that makes some businessmen rich, while many Ibicencos are still living in poverty. Since then, Ibiza has a harmonic contradiction of Ferraris and tractors. 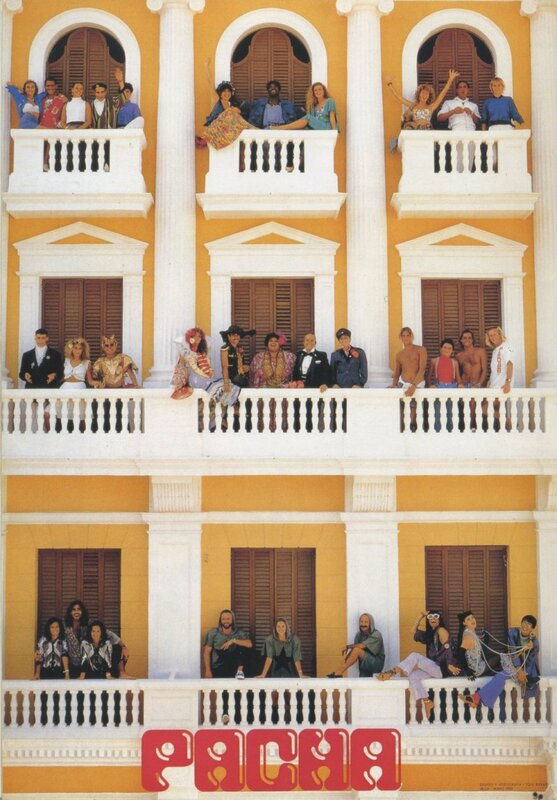 A casual entertainment, with youngsters lying on the floor, fans getting in direct contact with the musicians, VIP actors and artists talking with peasants… everything flows in Ibiza, the elite has no fear of the paparazzis, the atmosphere remains open-minded, pleasant, in perfect co-existence. 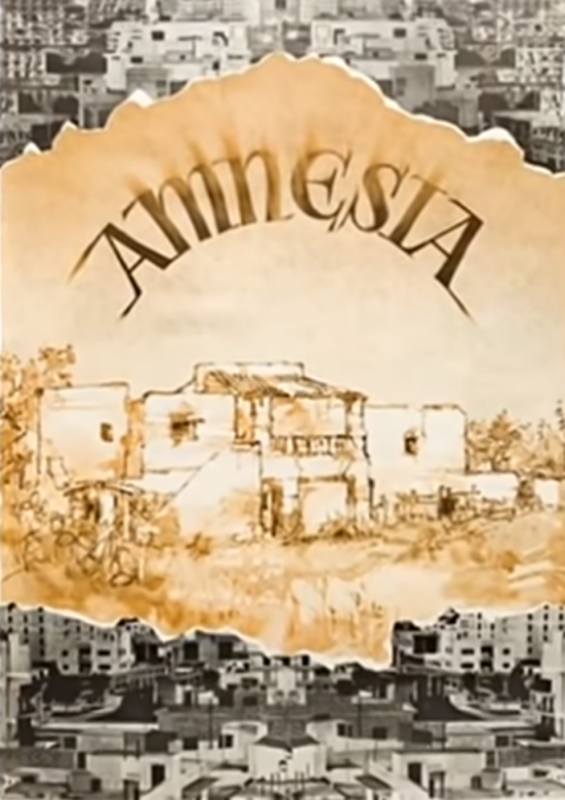 The year 1975 is considered the end of the hippie era, many artists complain seeing “too many changes on the island”. It is the tourism boom: in 1980 almost a million tourists are counted, attracted by the low cost of life and by the freedom that the White Island inspires. In the most remote valleys many jeeps “safari” now pass, leading tourists to know the local nature, disturbing the tranquility of the countryside with their cameras. 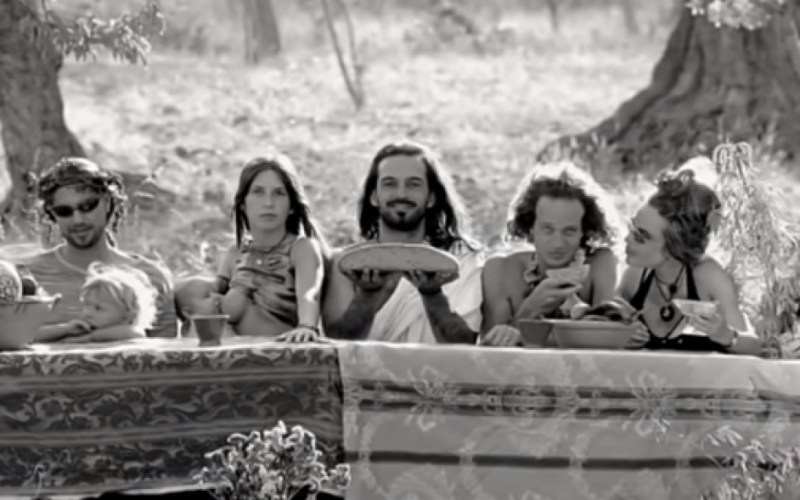 The hippies who decide to stay have finally a job: the tourism promotes their markets which rapidly become real attractions. Las Dalias and Punta Arabí are now meeting points, social platforms. The chiringuito El Bigotes, since 1979 is the place to be, famous because it has been able to melt the Spanish culture and the local food with the new international crowd. The ’60s and ’70s have passed under the flower power rhythm, of which Bob Marley has marked the peak, honoring the island with a concert in 1978. 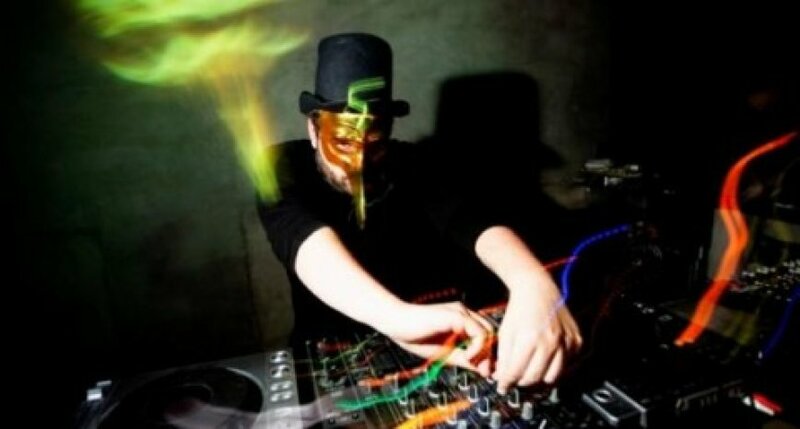 With the ’80s a new rhythm starts: the techno music represents a “new wave”. In the Pykes hotel Mick Jagger is partying with many other high-caliber artists. In 1986 Eric Clapton and Thin Lizzy give one of their most unforgettable concerts. 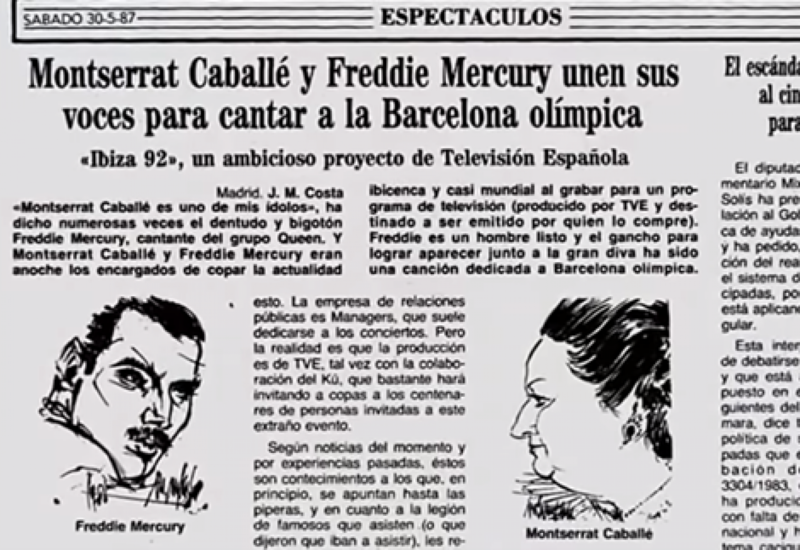 On May 9, 1987, a stage is installed for the concert of Freddie Mercury and Montserrat Caballé. The growing demand for parties and music opens new experimental sceneries, like the café Mambo where people dance looking at the sunset. Ibiza becomes the temple of the electronic music.